This feature module describes the spectrum management enhancements in the Cisco uBR-MC16S cable modem card for Cisco uBR7200 series universal broadband routers running Cisco IOS software Release 12.1(3a)EC1. The Cisco uBR-MC16S spectrum management cable modem card helps you reduce the negative effects of upstream ingress noise by performing a spectrum analysis of available upstream channels, and selecting an upstream channel with appropriate signal quality. The Cisco uBR-MC16S delivers hardware-assisted spectrum management, resulting in better service, quality, and reliability. To use the spectrum management feature, you must install the Cisco uBR-MC16S cable modem card in the Cisco uBR7246 VXR. For installation information, see the Cisco uBR7200 Series Universal Broadband Router Hardware Installation Guide, Release 12.1. The spectrum management card in Cisco uBR-MC16S cable modem scans the upstream spectrum for clean (usable) channels of the specified width: 3.2 MHz, 1.6 MHz, 800 KHz, 400 KHz, and 200 KHz. If the card does not find acceptable channels of the specified width, it scans the upstream spectrum for the next largest available channel width. The spectrum management card enables the Cisco uBR-MC16S cable modem get live data samples of the upstream frequency spectrum. When the user-defined threshold percentage of offline modems is met, Cisco IOS software Release 12.1(3a)EC1 analyzes the collected data, and initiates a frequency hop to a clean channel in the upstream spectrum. The upstream channel frequency reassignment process is initiated by the number of lost station management messages exceeding a configured threshold. The Cisco uBR7200 series moves all cable modems on the upstream port by sending upstream channel descriptor (UCD) messages that contain the next frequency and input power level defined in the spectrum management group. The frequency changes occur rapidly without data loss and minimal latency. The Cisco uBR-MC16S spectrum management card enhances the frequency agility software feature already available on Cisco uBR7200 series routers. With the Cisco uBR-MC16S card, service response time is improved by using an intelligent, hardware-assisted spectrum analyzer. 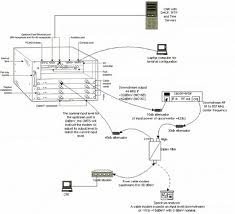 The following sections describe spectrum management implementation using Cisco uBR7200 series software and Cisco uBR-MC16S cable modem card. Single subband-the CMTS administrator can define a center frequency and symbol rate such that the boundaries of the upstream carrier stay within the subband. The frequency and symbol rate can change within the boundary in response to noisy line conditions, based on the defined upstream parameters. Multiple subbands-the data carrier can remain in a particular subband for a duration of time and then hop to another subband based on the defined upstream parameters. The above frequency agility specifications are based on predetermined sets of frequencies which may or may not have adequate carrier-to-noise (C/N) ratio at any given time. Dynamically assigned based on a CMTS administrator-specified threshold percentage of disconnected cable modems that must be met before a frequency hop will occur-the Cisco uBR7200 series software can initiate a frequency hop to a clean upstream channel based on upstream spectrum data collected by the Cisco uBR-MC16S's spectrum management daughter card. Joanna Ł · ile połaczen zaterminuje? dlaczego nie ma zadnego zdjęcia? Dlaczego nie ma danych technicznych?